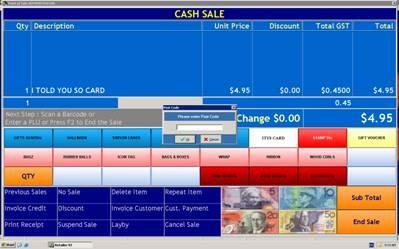 Tracking retail sales by postcode through POS software | Tower Blog | A blog about smart POS software for independent small businesses. Our customer postcode tracking facility is another way our retail partners can build their businesses without spending money on external advertising. When turned on, a postcode is asked for at the end of a sale. By tracking the postcode of each retail customer, retailers are quickly able to build up a helpful map-based view of the reach of their business. This postcode tracking ability, in our software, enables retailers to not only see where their customers travel from but also see what is purchased by customers in one area compared to another. In several situations where we have been using this data on trial we can see the convenience factor of the business paying off. This has led to a discussion around the pricing policy of the business. If customers buy because of convenient location then the business may be able to charge extra for this ‘service’. This is certainly true for some items. This work is all about equipping our retail customers with smart views of the business they transact so that they can make more valuable business decisions. Retail chains obsess about this data so why not independently owned smaller retailers? There is serious money to be made from obsessing about business data. Our postcode tracking facilities provide another view to our retail customers which we are certain will help improve margins achieved and better target business marketing.